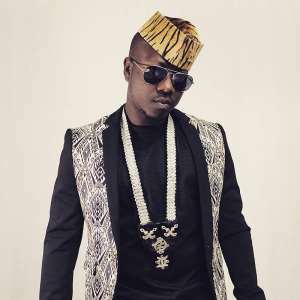 Kumasi- based rapper Flowkingstone has stated that Accra seems to be the home of all successful music artists and as a result, he is moving back to Accra to make his dreams come through. Flowkingstone said that all the A-list artistes are in Accra and that explains why most artistes are moving from the other regions to Accra. The rapper who is currently the most sought-after artist in the Garden City added that artists who don’t reside in the nation’s capital, Accra are really struggling including himself. This is because all the attention is concentrated in Accra. “Everything is happening in Accra. Apart from all the connections and sponsors here, all the event centres are here in Accra, talk of the Accra International Conference Centre (AICC), the National Theatre, the Fantasy Dome, the Banquet Hall of the State House just to mention a few”, Flowkingstone told Showbiz in a recent interview. He added that although he gets a number of shows in Kumasi, it does not make it to the headlines and make the needed impact because it’s not in Accra. This he explained that makes him an underground artiste despite being in the business for a while now.